Did you know that now is the time of year to start planning the construction of your new fence? Winter actually provides ideal conditions for fence building. Plus, getting it done now ensures that your yard will look it’s best prior to spring—which means one less item on your busy to-do list when warmer weather rolls around. Building a new fence brings a whole slew of questions for homeowners, with the most common being, “what type of material should I choose?” You want a fence that not only looks the way you want it to, but that will be durable and long-lasting. Don’t worry—we’ve got you covered. 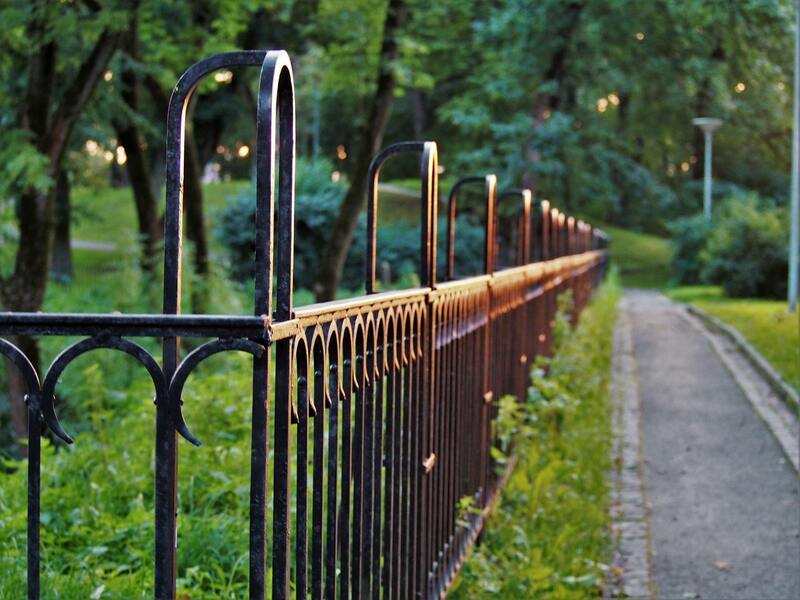 Here are 4 of the most common fencing materials and what to consider when choosing the one that’s best for your home. There are several types of wood—like cedar and redwood—that naturally resists warping, decay, shrinking, and rotting. The installation process is simple and wood fences are very customizable. The color of wood fencing can weather and fade over time, so wood fences will require ongoing maintenance and occasional repair—like re-staining and reapplying sealant annually. 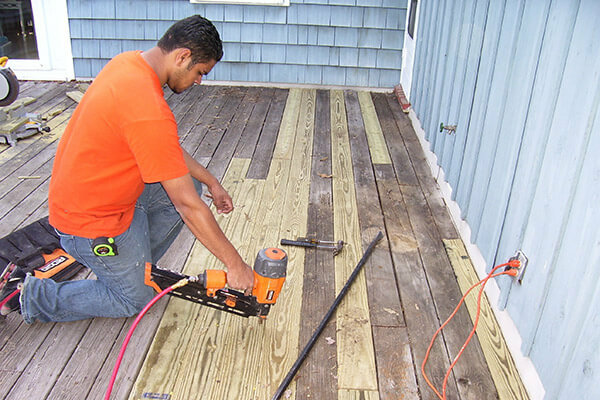 Composite fences are manufactured using wood fibers and plastic polymers. This fencing option brings a wood-like look without the risk of termites, wear, rotting, and more. Composite fencing is typically more expensive than wood or vinyl fencing, but only requires occasional cleaning to look like new. Composite fencing should also be installed by a professional. Vinyl fences used to have a tendency for discoloration, sagging, and breaking down. However, vinyl has since become one of the most durable types of fencing. Vinyl fence is available in a variety of styles, heights, colors, and more. The thicker the vinyl you choose, the more durable your fence will be. Again, it’s important to have a professional build your vinyl fence for you. While it’s possible for vinyl fencing to need repairs over time, they require virtually no maintenance beyond washing. Aluminum fences are customizable and by far the most durable option. Because these are often custom fit to a space, they should be installed by professionals. Aluminum fences also won’t rust and are easy to clean with a hose. Ready to install the beautiful, new fence you’ve been dreaming of? 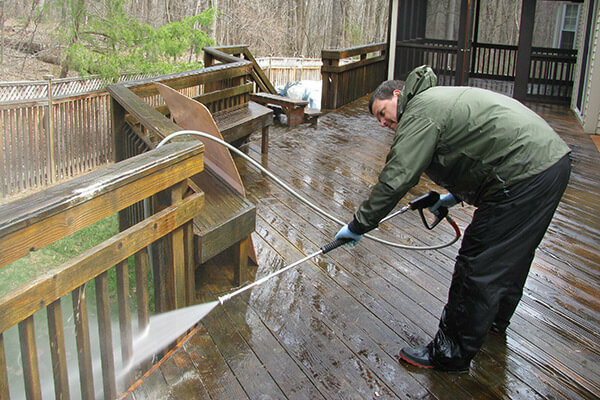 DeckMaster in Gaithersburg, Maryland can help in your Montgomery County home. 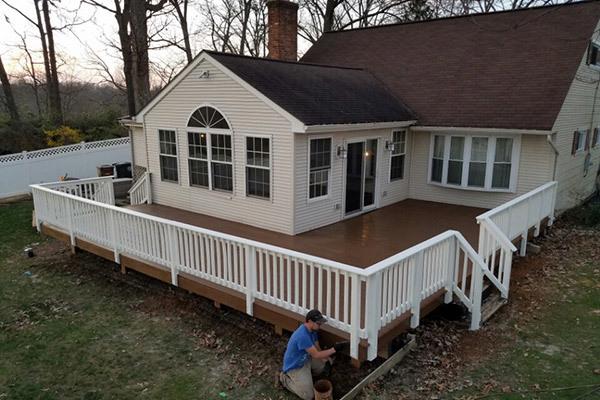 Whether you prefer a wood, composite, vinyl, or aluminum fence, we can build, install, repair, and maintain your deck for years to come! Save on fence restoration and repair with these limited time coupons!